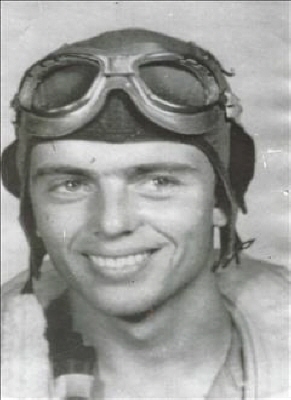 Vernon Leroy Friend passed away November 3rd, 2018 in Tulsa, Oklahoma at the age of 92. He was born January 3rd, 1926 in Lamar, Oklahoma to Walter and Mammie Adams Friend. Vernon is preceded in death by his parents, Walter Friend and Mamie Mouser, son, Rusty Friend, brothers; Leon Friend, Willie Mouser and his step mother, Pauline Friend. He is survived by his son, Keith Short of Little Rock, Arkansas, sister, Marie Friend Roberts of Tulsa, and half siblings, Jeanie, Jane and Austin, nieces, Vicki Roberts of Jenks and Beverly Deardorff of Tulsa. Graveside service will be 2:00 pm Wednesday November 7, 2018 at Holdenville Cemetery with Bill Robinson and Pastor Dane Robinson officiating. Services are under the direction of Hudson-Phillips Funeral Home Holdenville. To send flowers or a remembrance gift to the family of Vernon Friend, please visit our Tribute Store. "Email Address" would like to share the life celebration of Vernon Friend. Click on the "link" to go to share a favorite memory or leave a condolence message for the family.